Welcome to AMM. 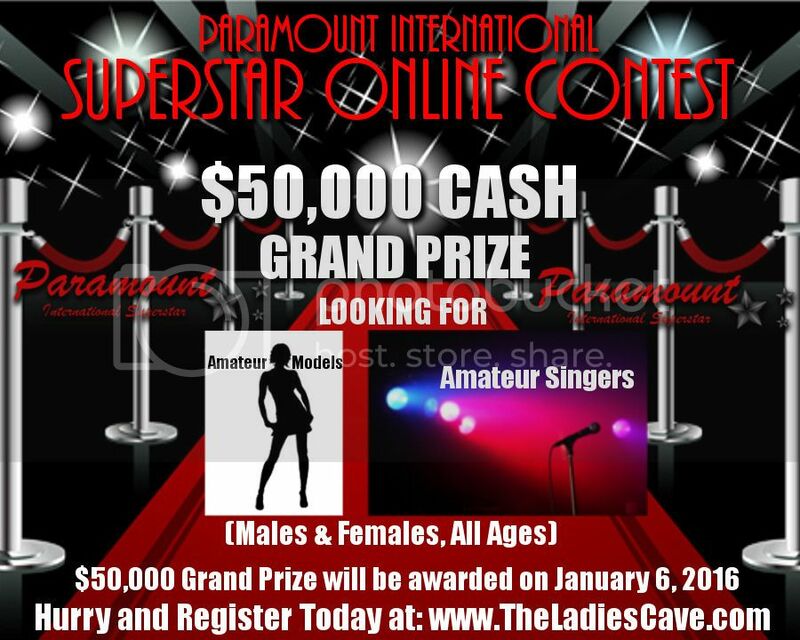 Check here often for up-coming pageants in your area and all the lastest news about AMM. Post any pageant information here that you like, but NO BASHING! Not one single negative thing will be kept on this voy board. We are here to help with all your pageant questions, notice of up-coming pageants, and Good Luck wishes and Congratulations. Keep the ugly, negative, back-biting comments for the OTHER boards. It will not be tolerated here. 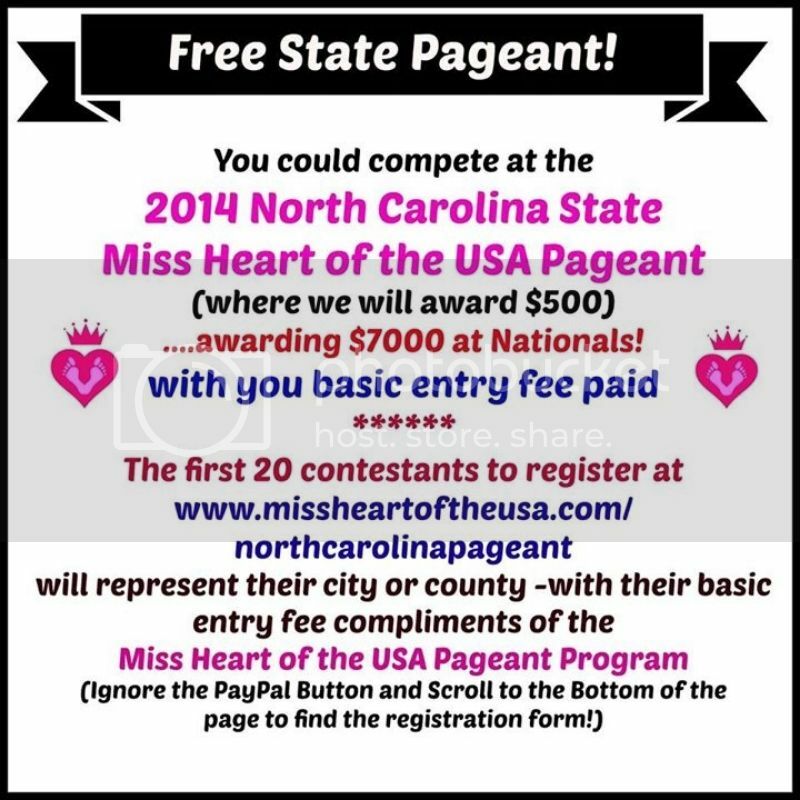 Miss Heart of the USA is giving away 20 FREE entries to the North Carolina State Pageant! 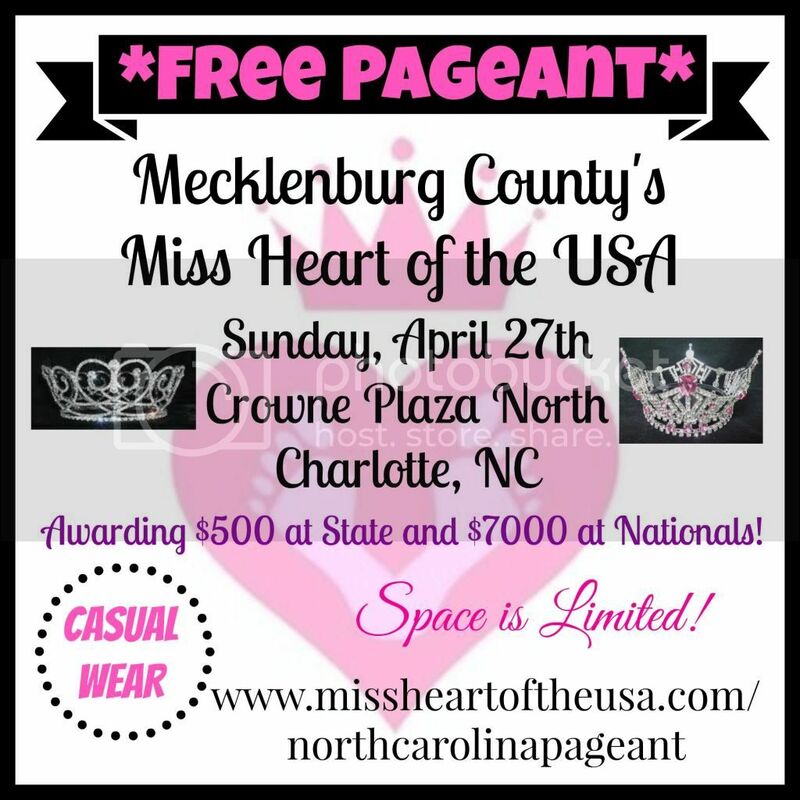 Go to www.missheartoftheusa.com/northcarolinapageant to register and be sure to let them know I, Lillian Reeves, sent you! 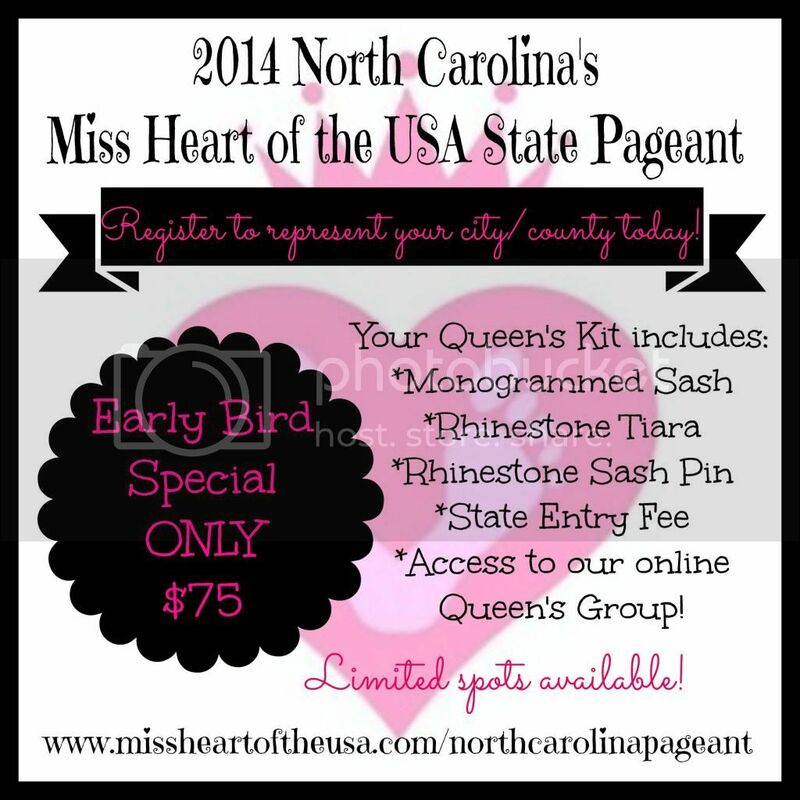 There is still time to register for the North Carolina Miss Heart of the USA State pageant! 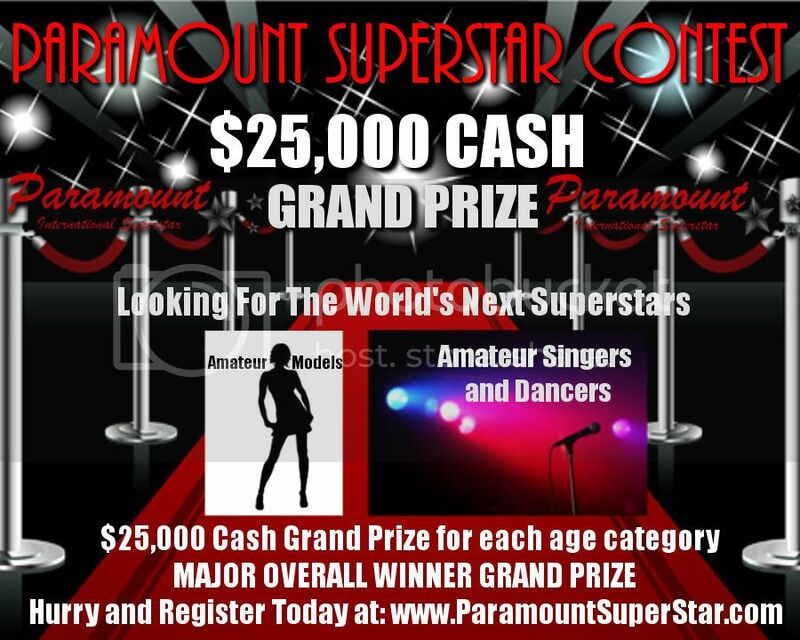 Go to www.missheartoftheusa.com/northcarolinapageant to register! Please let them know I, Lillian Reeves, sent you! Miss Heart of the USA is a natural beauty pageant system that focuses on giving back to the community. We are stomping out hunger one city, one county, one STATE at a time through our food drive pageants! 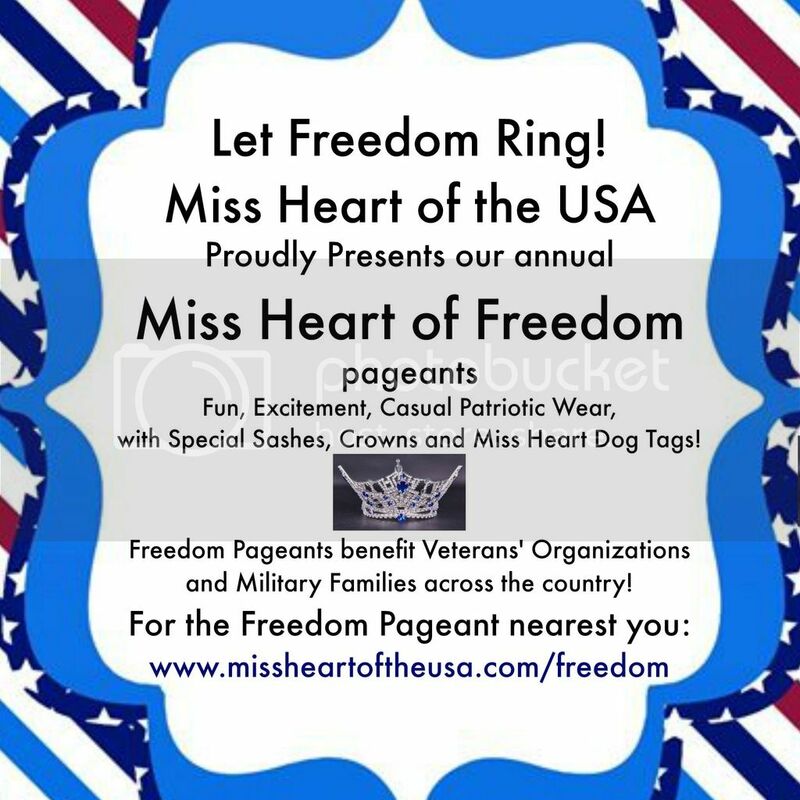 No experience is necessary to compete in a Miss Heart of the USA Pageant, we are a great starter system, and we have age divisions for everyone! Please let our wonderful directors know that I, Lillian Reeves, sent you! We are stomping out hunger one county, one city, one state at a time and now YOU can join us in North Carolina! You do NOT have to live in North Carolina to compete! 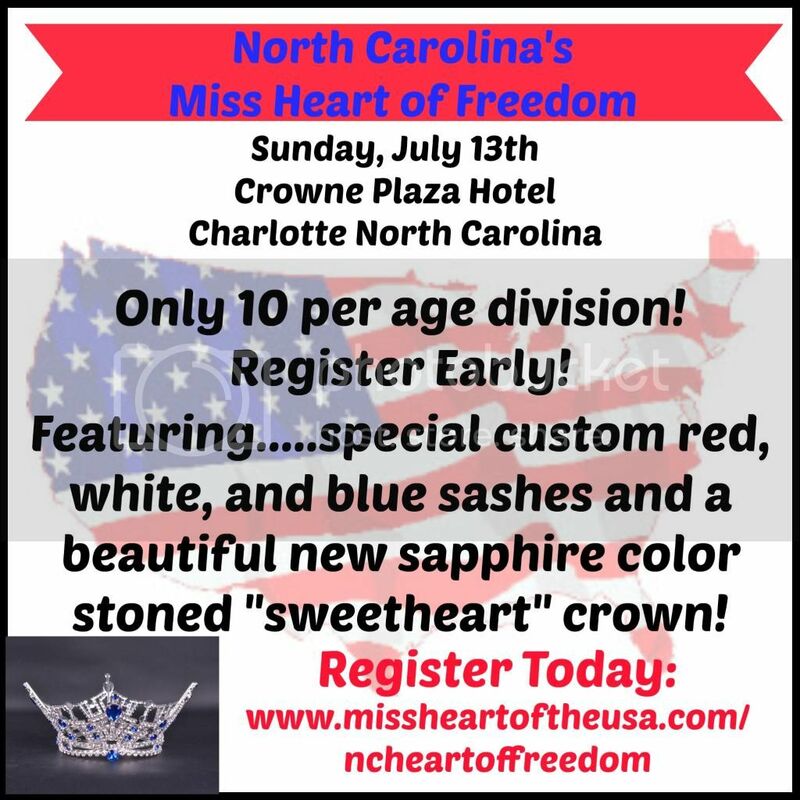 Miss Heart of the USA is coming to North Carolina! Join a fun pageant system with a purpose: stomping out hunger! Please let them know I, Lillian Reeves, referred you!